Once your adrenaline stops pumping and your trophy is on the ground, the real fun begins. You'll need a rugged knife with the right heft and proper blade — one that's made from top grade steel, honed to a razors edge. 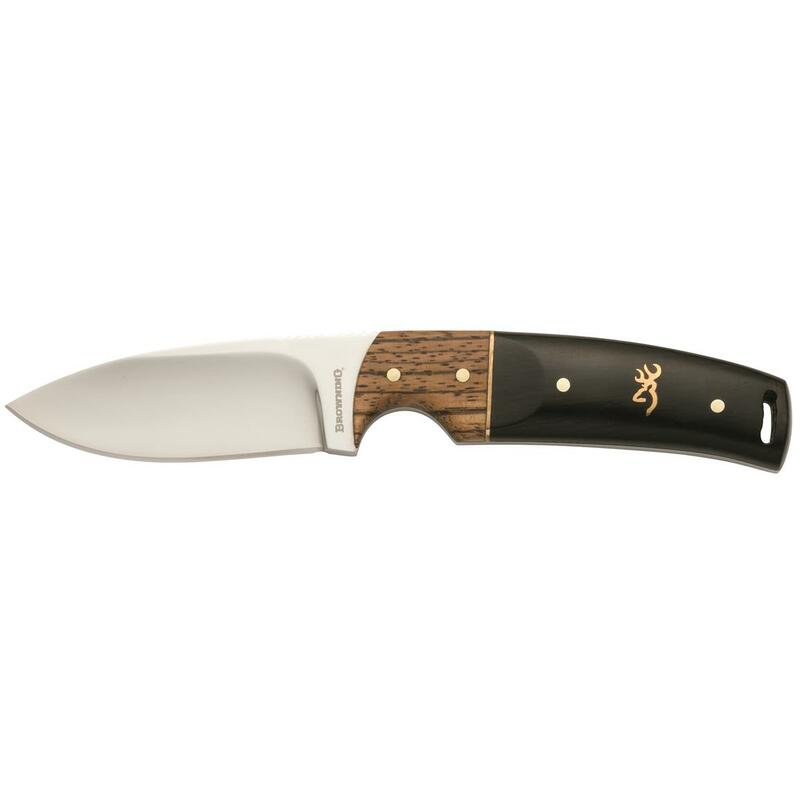 The Browning Buckmark Hunter Knife fits that bill. 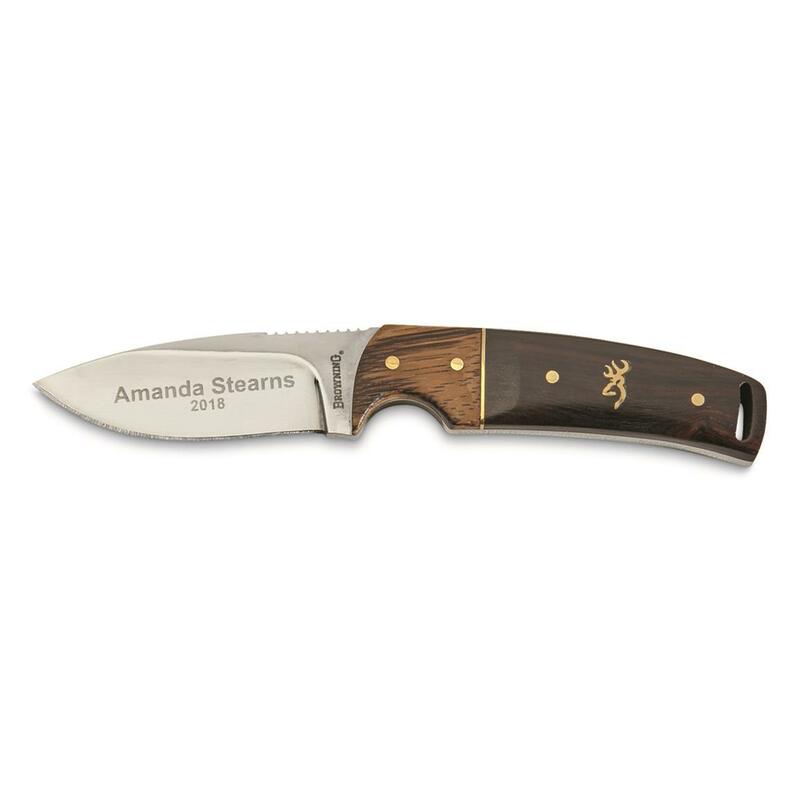 Its a beautiful Knife with outstanding balance that transmits every precise cutting movement from your hand to the blade as you field dress your game. A true must-have for the serious hunter. Browning Buckmark Hunter Knife is rated 5.0 out of 5 by 2. Rated 5 out of 5 by Chris The Train Guy from Engrave it! I ordered this knife at Christmas time( for MYSELF!) and had it engraved by the excellent Sportsman’s Guide Engraving Shop. The knife itself is beautifully made,nicely polished,and arrived razor sharp. The included leather sheath is also well done. Over many years,I have had dozens of blades engraved by the Guide,and have always been completely satisfied! Buy it,and,HAVE IT ENGRAVED.YOU WILL LOVE IT! Rated 5 out of 5 by capstick58 from Great value Bought on sale. Much better quality then I expected. 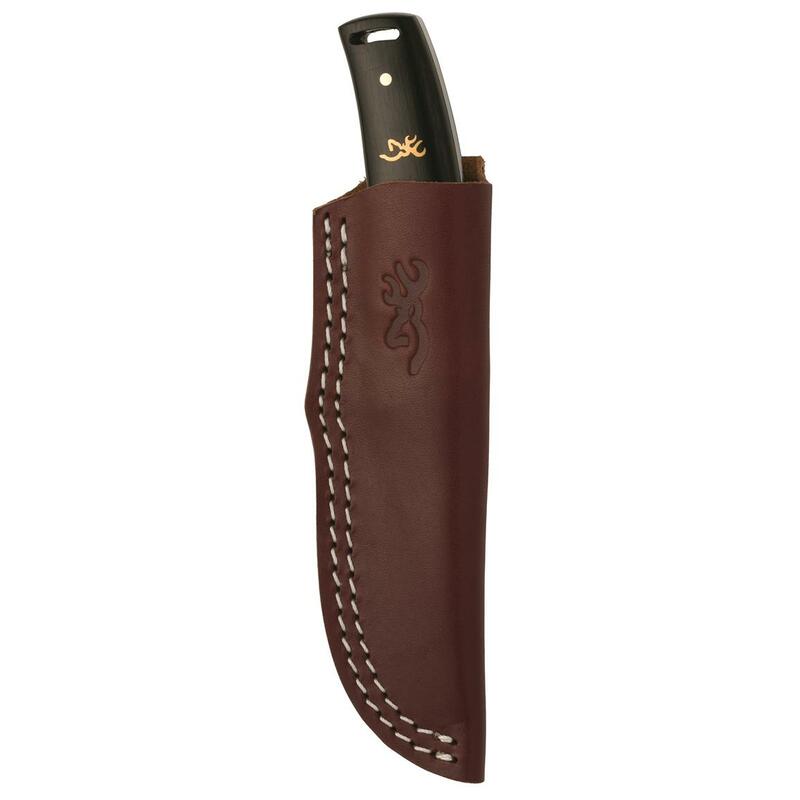 Very sharp well-made sheath is very well made. would buy again and in fact I did buy one for a gift.